Only had to force-restart once due to known issue. Gave multiple attempts to load the game, but my browser (Firefox) kept forcing the process to close due to it taking a long time to generate a level. Is there a way to play a version of the game with a preloaded level? Thank you for trying the game! I was having issues generating a solvable level and sometimes takes too long, it is a matter of luck really. You can download the PC version where you will not have the issue of the process closing. Interesting idea. Took me longer than it should have to realise the word I was looking for was on the screen :P Had a few out of memory errors (in Chrome) but after a few refreshes of the page I was able to play. Once you get the hang of it, it becomes a bit too easy though. 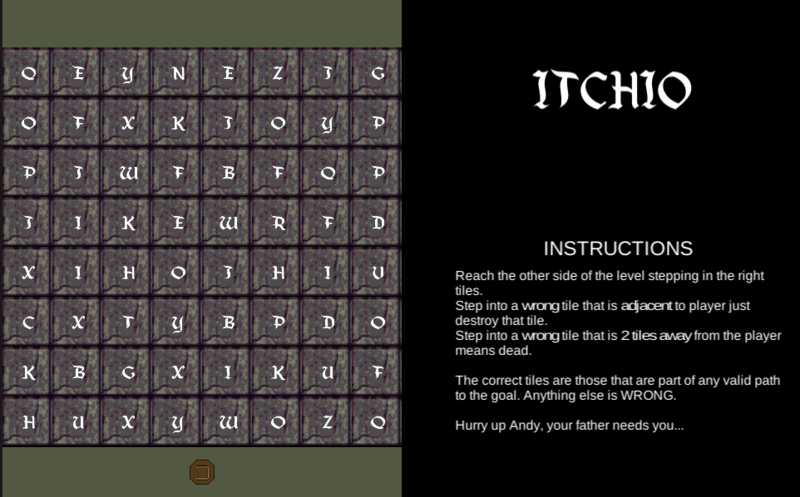 As a suggestion in order to add a bit more difficulty, you could maybe make the previous letters "crumble" away after a while so the player has to move quickly to find the next letter. 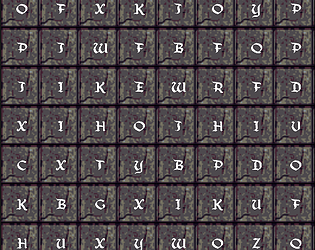 And perhaps show which letters in the word you have already found so the player can keep track. Good game though and good interpretation of the movie scene.